30 minute high intensity interval training workout using nothing but boxing gloves and a heavy bag or boxing stand. 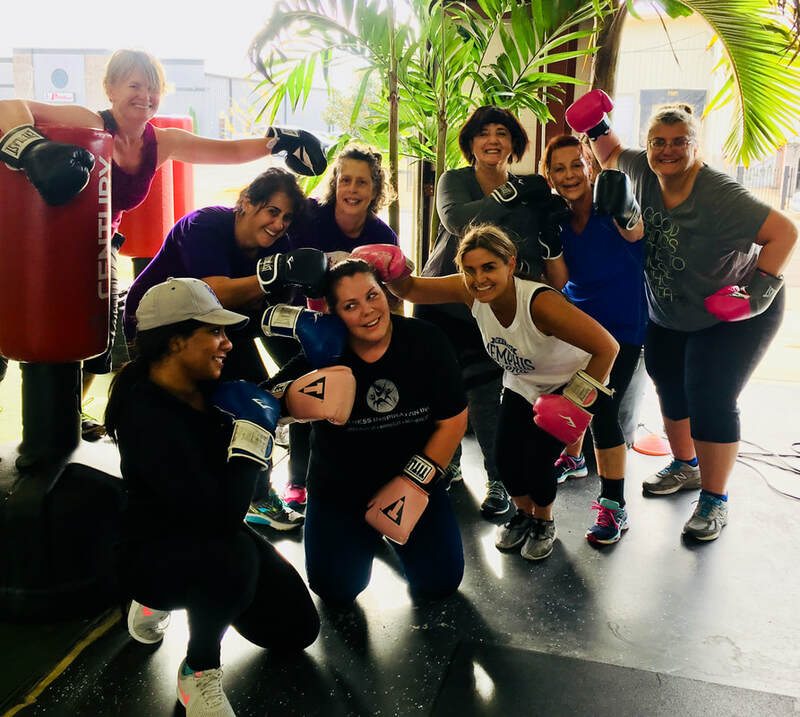 Each workout consists of 3 rounds of multiple 30 second boxing sets (@12 to 14 sets) + a set or two of ‘abs’, along with a 2 minute Active Recovery Aerobic between rounds. This is NOT a super-technical style boxing class. This IS a 30 min all-out, stress slaying, high-energy, heart pumping fusion of simple to moderately technical combos, kicks, and punches that will leave you feeling totally tapped out, and totally freak’n awesome. ​30 minute total body, high intensity interval training workout that consists of 3 rounds of 12-14 different exercises(per round) @ 30 seconds each, along with a 2-3 minute Active Recovery Aerobic between rounds. Equipment we use in theses classes includes anything and everything! 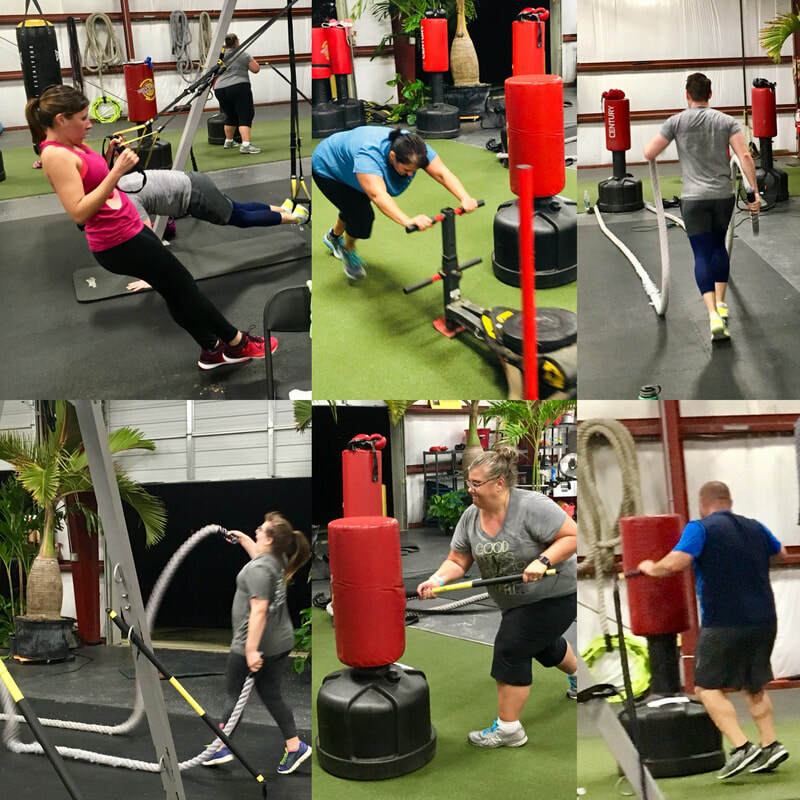 A sneak peek into what that might be ;)...Slide-board, Kettlebells, TRX, Prowlers, Super-bands, Dumbbells, RIP Trainers, Med Balls, BOSU Balls, Tractor Tires and more. A total body, heart pumping, fat burning, lung-power boosting, metabolism optimizing exercise routine that will take your health AND your fitness to the ultimate level. 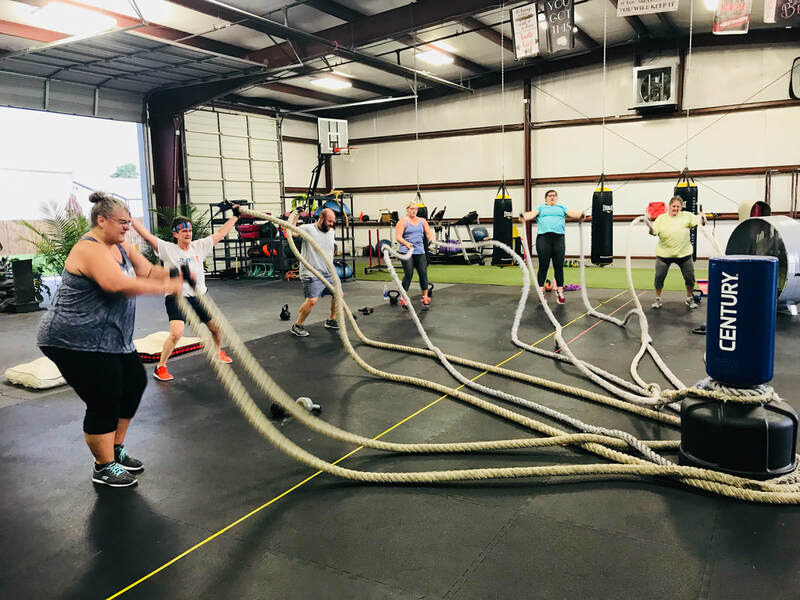 A 30 minute total body fitness workout that uses a blend of scientifically-based training styles along with a variety of equipment to keep each workout fresh, challenge you to your healthy maximum, empty your tank, and crush your goals. You will NEVER EVER have the same work out twice. Scientifically-based training styles include, but are not limited to: Tabata, H.I.I.T, Fartlek, Pyramids, P.A.C.E., and more. A 30 minute total body fitness workout that uses a blend of scientifically-based training designs with a focus on boxing and abs! This is NOT a super-technical style boxing class. This IS a 30 min all-out, stress slaying, high-energy, heart pumping fusion of simple to slightly moderate technical combos, kicks, and punches that will leave you feeling totally tapped out, and totally freak’n awesome. You will NEVER EVER have the same workout twice. 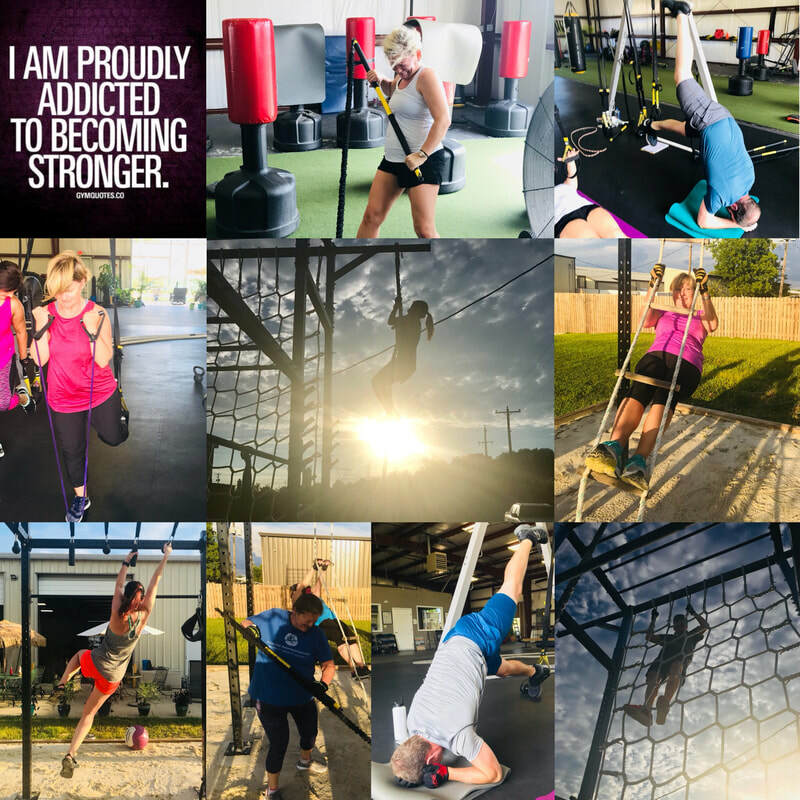 TRX & Fartlek BC is a total body, high-output, tank-emptying mix of multiple Tabata style TRX training rounds designed to make those 20 second sets feel like you’re working to out run a very very hungry sabertooth tiger ;). If you don’t get eaten for dinner, you’ll also be rocking out a few random styled Fartlek circuits focused on boosting your lung power and heart strength! IMPORTANT NOTE: Due to the very unique body positions and techniques used when working on the TRX trainer, those who have been working out at FII for less than 6 months will most likely be given equally evil non-TRX exercise alternatives.